*The gauge does not have a needle. The gauge progress bar changes from red to green as the air reservoir fills. This air rifle has a 19.50" barrel. The shroud is much longer, so the exterior length from the action to the muzzle gives the illusion of a much longer barrel. However, the barrel is only the rifled portion of the gun and does not include the shroud or any baffles that may be forward of the rifled barrel. Lots of companies make air guns, but Air Arms is one of the few manufacturers that's passionate about their guns. 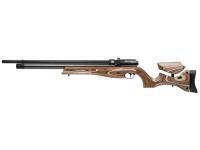 Their latest creation is the Air Arms S510 XTRA FAC Ultimate Sporter. 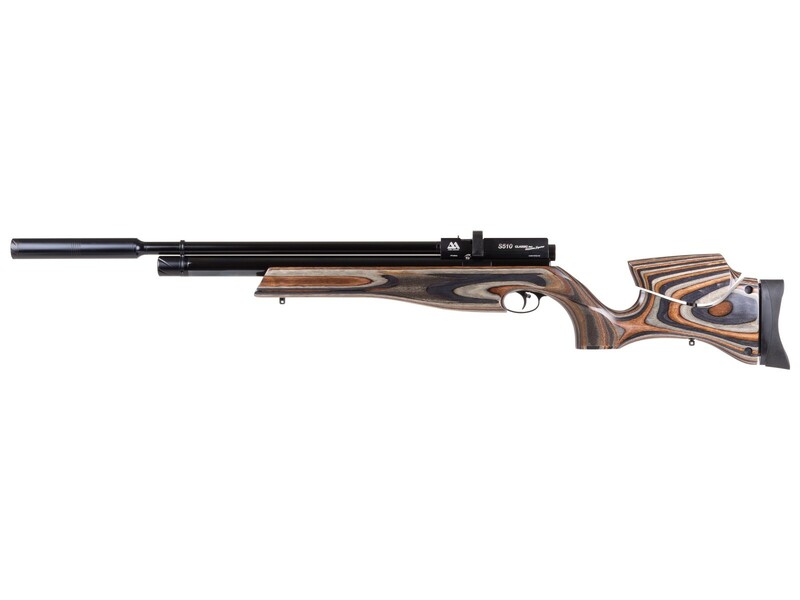 Based on the venerable and much-celebrated S510 repeater, the XTRA FAC Ultimate Sporter kicks it up a notch with a new, highly adjustable stock that helps you personalize your air rifle to your needs, configuration and shooting style. If you're a person who appreciates all those fine details that most makers overlook because they think you won't notice or they're just not important, then the S510 XTRA FAC Ultimate Sporter is for you. As you examine every inch of your gun, you'll see that state-of-art technology and techniques have been incorporated to make a rifle that's more than just a gun. It's a piece of art that also happens to be very accurate. The tame shooting characteristics, the smooth cocking and the ease with which your body becomes one with it will pale in comparison when you see what this air rifle does downrange! The Lothar Walther barrel constantly delivers pellets where you want them to go. If you've searched for an air rifle that doesn't fling flyers every few shots, doesn't miss the target for unknown reasons and doesn't have a mind of its own every time you pull the trigger -- then the S510 XTRA FAC Ultimate Sporter is the answer to your quest. Things I liked: I love this gun, I got it for target, and HFT, I never realized how much the wind blows off 177 pellets, those HFT guys must real know their stuff, but thats what makes it interesting, it is a joy to shoot, and shot good right out of the box, the stock is very nice and adjustable and finish is second to none, Air Arms makes good stuff. Also I like the larger cylinder for more shots than the carbine. Things I would have changed: there's not much to change, the safety, but that does'nt bother me, it works. How is this gun filled from scuba tank? I have a din valve and a din adapter for my synrod, will this work? Yes. You would just need Air Venturi Male Quick-Disconnect, 1/8"... to adapt the rifles fill probe to your female QD fitting on the end of your DIN adapter.